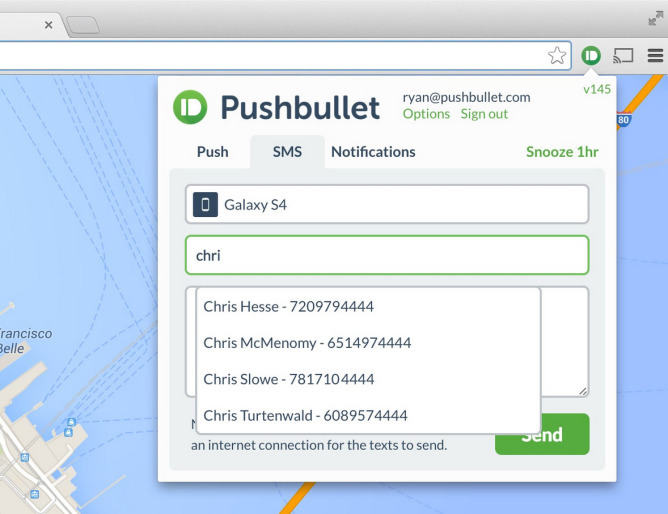 As long as you have the Pushbullet Android app and browser extension installed, you just need to click on the SMS tab to get started. From there you can enter the name or number associated with the person you want to reach, type out your message, and click the green "Send" button. When you're searching for a contact, Pushbullet will pull up a list of autocomplete results, but if you don't like the idea of this, you can always disable the feature under the app's privacy settings. The message will go through your phone, so recipients won't know you sent it via less conventional means. That helps to make this one less reason to reach for your handset throughout the day. 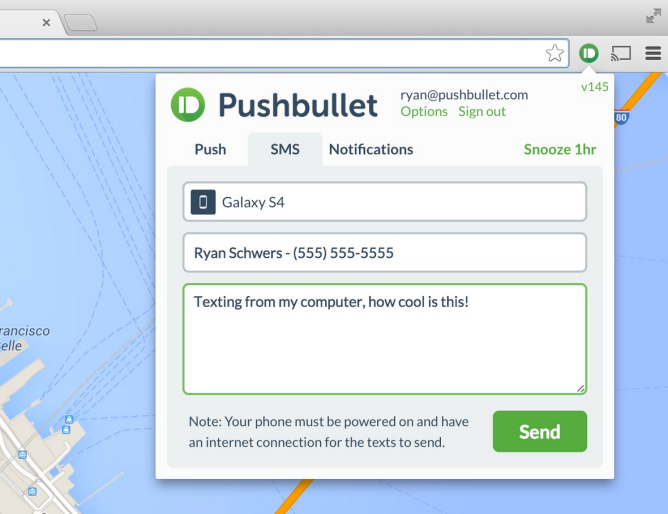 This functionality works on Windows, Mac, Linux, and Chromebooks. While the Firefox and Opera extensions will both support this feature, it's coming to Chrome first while it works its way through their review processes.